It is a shame Mr. Prime Minister! Refusal of the Prime Minister Narendra Modi to meet the Chief Minister of Kerala, Pinarayi Vijayan, who had requested for meetings to discuss urgent issues of the state with him, is discriminatory and against federal principles. It is a shame Mr. Prime minister! R.C. Lahoti insists that the forum will not impinge on the jurisdiction of courts; RSS affiliate says it will address “crumbling family structure”. New Delhi: An RSS affiliate has formed a unique forum, consisting primarily of senior advocates and retired judges, which it says will help ensure compromises in civil cases such as family feuds, property disputes and those involving neighbours among others. The forum, called the Nyaya Chaupal, is to be headed by the former chief justice of India R.C. Lahoti. Other prominent members include former Supreme Court judge Anil R. Dave, Supreme Court lawyer Govind Goel, and advocate Alok Kumar, who is also the VHP international working president. The chaupal is the brainchild of RSS affiliate Akhil Bharatiya Adhivakta Parishad (ABAP). Its first workshop was held on 7 March and was attended by RSS leader Krishna Gopal, Lahoti, Dave and RSS representatives from 16 states. According to ABAP, the Nyaya Chaupal has been formed as civil disputes are an outcome of the “crumbling family structure in the new societal order”. The forum, it adds, will also involve eminent people of the area to resolve civil cases of any type through dialogue. The concept is based on the role gram panchayats play in villages. Those associated with the Nyaya Chaupal insist that it will not impinge on the jurisdiction of the courts. “The aim is not to connect with the judiciary or interact with them. We don’t aim to run a parallel system. The aim is to build an environment in our surroundings where there will be no disputes,” Lahoti said in a documentary made on the forum. The chaupal will form teams of eminent people who will resolve civil cases; it believes it will be able to form 1,000 such teams across the country. So far, retired judges have held workshops for those who will form part of the chaupals; each team is expected to have 10 “respectable personalities” of the area. Maintaining that the forum should not be considered as a system parallel to the judiciary, Bharat Bhushan, head of Delhi Nyaya Chaupal, said the need for such a body was felt as even mediation centres, monitored by courts, pose the same difficulties as the courts. “Even in these mediation centres, one has to wait for dates and pay a minimum fee. The touch of a friend and well-wisher is missing. We found that in most cases, if there is a person who can reason with those involved and sort things out, many people won’t even have to come to courts,” Bhushan said. “When professionals and eminent people reason with the warring parties, most cases get resolved,” he added. To reach out to people, the chaupal will do aggressive campaigning and form an active website. “These people whose disputes are solved before it gets to the courts will be our ambassadors,” Dave said at the March workshop. The chaupal also pointed to the backlog in the judicial system. According to chaupaluntil 2017, there were 3.5 crore cases pending in various courts including those of domestic and personal disputes. Of these, 60,000 are pending in Supreme Court, 42 lakh in the various high courts and 2.7 crore in the lower judiciary. The National Emergency of 1975 was used to deny DA to the central government employees. Five installments of DA were due during this period, but the same was denied to the CG employees. It was only after the Janatha Government came that the due installments of DA were paid. The information received through RTI regarding the exchange of currency worth Rs. 745.58 crores within six days of demonetisation in Ahmedabad District Co-operative Bank in Gujarat is in the news. What is important is that one of its directors is Amit Shah BJP President and was the Chairman earlier. In another co-operative Bank which is headed by a minister of the BJP government in Gujarat has received Rs.693.19 crores. Almost Rs. 1500 crores have been deposited in these two banks alone. There was an earlier report that the BJP in Bengal has deposited currency worth hundreds of crores in similar manner. Though the public suffered for months sue to monetisation, BJP and its connected institutions utilised the opportunity for their own benefits. Hats off to Justice J. Chelameswar! The present senior most Judge in Supreme Court, Justice J.Chelameswar, retired from service yesterday, after a transparent and praiseworthy career, including 7 years in the apex court. He has delivered landmark judgments, which are quoted frequently. He was strongly opposed to the unjustified interference of the government in the judiciary. It was at his initiative, that four senior most Judges of the Supreme Court held a Press Conference and expressed their anguish at what is happening in the Supreme Court, including the issue of promotion of Uttarakhand Chief Justice K.M.Joseph to the Supreme Court. Justice Chelameswar vacated his official bungalow yesterday itself and returned to his home in Hyderabad. ( Remember here that a large number of M.P.s, senior officers, judges and others continue stay in the official bungalows, even after their term, retirement etc. against the existing orders to vacate them.) He is reported to have stated that he will not accept any government commission etc. after his retirement. 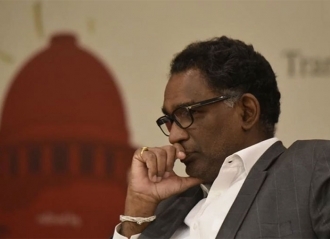 We admire you Justice Chelameswar. Your further service to the country will be appreciated. It is reported that Prime Minister Modi did not give time to Kerala Chief Minister Pinarayi Vijayan to meet him to discuss some important issues, including the construction of Railway Coach Factory at Kanjikode, Palakkad. It is also reported that this is not the first time that Prime Minister is declining to meet the Kerala Chief Minister. Delhi Chief Minister Arvind Kejriwal was waiting for more than one week to meet the Governor at the latter’s office. Is the Federal Structure of the nation being demolished by the central government and the Prime Minister? It will be a dangerous precedence. Kerala Government honours the Sports persons. Kerala left Front Government respects and honours the sports persons. During the two year periods of its rule, it has appointed 157 sports stars in state government service. It is a record in itself. The government is giving active encouragement for improvement of sports facilities in schools and other institutions. The dark memories of the draconian ‘National Emergency’ is still not forgotten. It was on 25th June 1975 that the President of India promulgated the ‘National Emergency’ at the instance of the then Prime Minister Indira Gandhi. In fact the declaration was not because there was an emergency situation in the country, but only because there was a danger to the continuance of the Indira Gandhi government after the Supreme Court verdict nullifying her election. It was a fake emergency imposed upon the people to save Indian National Congress and Indira Gandhi. The 1974 Railway Strike and various agitation by the workers, the strong protest against the anti-people decisions of the government followed by the Supreme Court verdict created a situation, where the ruling party was not in a position to digest. The panacea to pass over the crisis was the declaration of emergency. All political opponents were arrested and put in jail arbitrarily. Trade Union leaders were also jailed. The newspapers were silenced. They could not print any criticism of the government. Functioning of political parties and democratic institutions were literally prohibited. The police and the government machinery were utilised to crush any opposition to the ruling party and the government. It was dictatorship. Leaders of central/state government employees’ unions were also jailed. It was difficult even to hold union meetings. There were spies, CBI, CID etc. every where to report any objection to the emergency. Student leaders were arrested and jailed. NFPTE also had to face a lot of victimisation. The entire opposition parties united to fight against the National Emergency. Thinking that the entire opposition was derailed, Indira Gandhi declared General election in 1977 after about two years of emergency. But the government was mistaken. The people who were suffering under emergency ensured that the Congress is defeated. It was one of utter defeat for the Congress. The Janatha government came in to power. The dark days were over. Though 43 years are over, the dark period is not forgotten. There are many indications that the actions of the present government is tilting towards authoritarianism and fascist tendencies. The entire people should ensure that the ‘Emergency’ is not repeated.